On Saturday, 4 February 2017, Locality member Friends of Stretford Public Hall opened their Community Share offer to investors, seeking a minimum investment of £200,000. 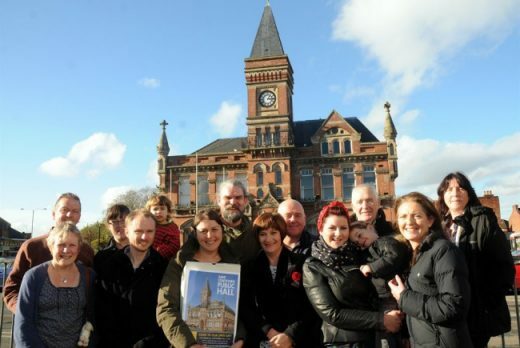 In 2013, a group of local residents organised themselves to save the historic Stretford Public Hall from disposal by the council. After registering the company as an Asset of Community Value and securing ownership they carried out extensive feasibility work. 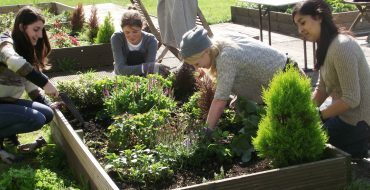 In 2016, working with Locality, Friends of Stretford Public Hall was successful in applying to the Community Shares Unit’s booster programme to secure development finance to progress their plans for raising capital investment through a share offer, and the option of matched equity investment from the booster programme of up to £100k. Friends of Stretford Public Hall commissioned Locality, drawing on our practitioners’ expertise in community shares, to develop their business plan, their share offer document, their financial models and completing their Community Shares Standard Mark Assessment, a sign of external validation that the proposal meets certain standards. The share offer is seeking a minimum £200k (including £100k from the booster programme), with a maximum of £300k to renovate the ballroom to host an array of events, and generate increased revenue and sustainability for the organisation. Community Shares are a means of community organisations raising patient investment through withdrawable, rather than transferable shares. Friends of Stretford Public Hall is a charitable community benefit society that is democratically run by its members on a one-member one-vote basis, regardless of investment size. Have you got a local building that your community would like to remain open for all to enjoy? Speak to a Locality practitioner about community shares, business plans or raising finance by emailing consultancy@locality.org.uk. We can help you deliver the services people in your community need and bring investment and jobs to your area.